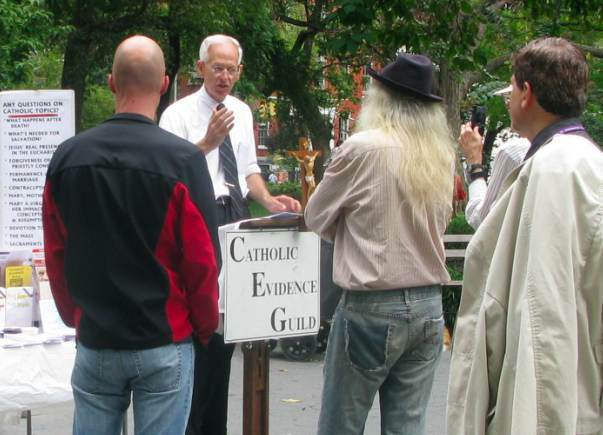 The Catholic Evidence Guild is a loose international association of Roman Catholic lay volunteers which seeks to research and present clear and compelling explanations of the doctrine of the Roman Catholic Church. The organisation was founded in the Diocese of Westminster, England towards the end of 1918. By 1925 there were 20 to 30 branches throughout England. The Westminster branch has spoken regularly at Speakers’ Corner since its inception. There are currently branches in Guam (est. 2003) and New York. In dental news, the person I swim with remembered the name of the bridge she has, it’s called a Maryland Bridge. Anyone else have one of these?